How would you react to being limited to the amount of meals and snacks you could consume throughout the course of a week? Month? Even a year? 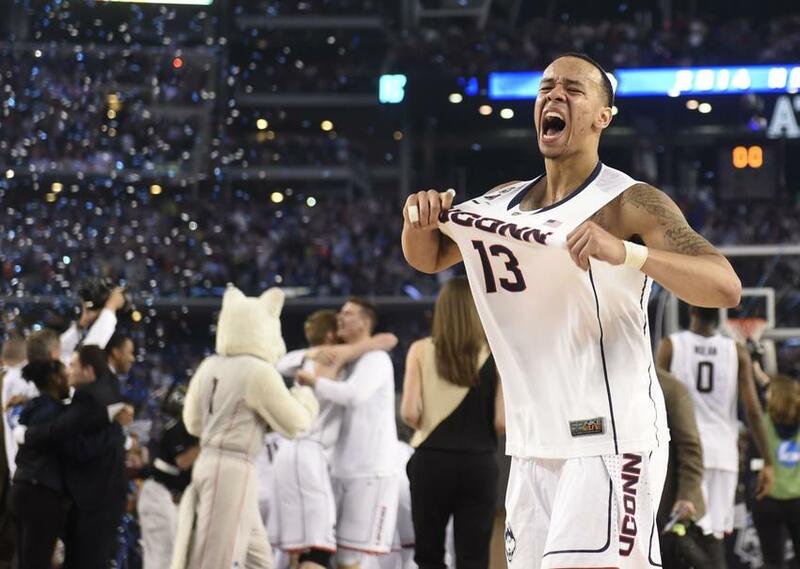 For former University of Connecticut point guard, Shabazz Napier, he endured this conflict through four seasons while competing at the collegiate level. However, his story is one of many that went unnoticed by the NCAA. For years, the NCAA has made millions off the backs of athletes’ hard work, sweat, tears and academic perseverance. In fact, student athletes of all kinds are not being dealt a fair hand and it’s time for them to receive compensation for their work. Student athletes commit to a rigorous academic and athletic schedule to achieve the goal of competing in their beloved sport at the collegiate level. Even though many students need assistance financially, this doesn’t negate major universities from earning outrageous amounts of revenue through the performance of these athletes. For the majority of these student-athletes, committing to their desired sport alone is part of the reason why schools stand to make handsome profits – by way of ticket and jersey sales as well as endorsement and broadcasting sponsorships. Off the back of the performance of student-athletes, universities have also earned hundreds of millions of dollars. From 2005 to 2012 for example, spending on Division-I players has nearly doubled to more than $115,000 per player. While universities have spent a great amount to support each player, their spending on academics has not increased proportionately. Moreover, academic spending for all full-time students at Division-I schools increased just 30 percent on academics alone. Among other things, the amount of money that’s generated by universities’ basketball and football programs over the past 12 years, “has increased nearly 300%, such that they now fund almost all other sports programs”. Obviously, the universities are not short of funding athletics, whereas they can’t make this same connection in the classroom. As it stands, the 126 universities that compete across Division I college football, nearly all of them operate on a median revenue that reaches to the level of $60 million per year. To put this into perspective, Nick Saban, head football coach for the University of Alabama, earns a salary that consists of $5.9 million per year. A graph found on CQ Researcher examines how much more money universities are spending on FBS football players. On the other hand, while universities reap the benefits by making millions, the scholarships that these athletes are handed annually do not always fit students’ needs. First, while athletic scholarships help bridge the gap between the costs of tuition and room and board, at some institutions, they fall short of providing a reassuring atmosphere to student athletes. Case in point, many athletic scholarships are granted only for one year, then renewed at the discretion of coaches. That means if a player doesn’t perform well throughout the season, that player may find themselves without a scholarship the following season or an omission off the roster. But there’s more. Medical care oftentimes doesn’t extend to the athletes beyond college. For that reason, a player who is seriously injured once they’ve graduated, their scholarship no longer covers them, which could lead to considerable long-term expenses. In addition, the National Labor Relations Board (NLRB) ruling in 2015, which stated that because of the demand of the athlete’s individual sport, players are considered employees of the university. For example, University of Northwestern players “worked the length of a full-time job”, spending 40-50 hours per week during season, even more within off-season conditioning. Due to the NCAA’s unfairness of handling scholarships for players with medical issues, 76 Northwestern football players voted to unionize against the NCAA in 2015. When taking into consideration the unethical care of athletes’ scholarships, the inability for many of these students to earn enough money to live properly only exemplifies the notion to why they should be compensated. Not all student athletes are fortunate enough to support themselves on a daily basis away from home. Yes, even if they receive an annual scholarship. The fact of the matter is that the lifestyle of college athletes remains highly restricted by the NCAA rules commission. Napier’s situation, where he confessed to having “countless nights of going to bed hungry”, relates to the extreme pressure placed on these athletes academically. In order for students to maintain their athletic eligibility each year, students need to first register at least a 2.3 GPA out of a 4.0 scale throughout their first inaugural season in college. Shabazz Napier was one of hundreds of athletes that were dealt an unfair hand by the NCAA throughout their college careers. Photo Courtesy of MSN. Lofty standards like this makes being a full-time student-athlete so difficult. Between the severe stress administered onto these students both on the practice field and in the classroom, the likelihood of them all managing throughout the course their strict schedules, while sometimes going to bed starved, is asking too much on kids that are 21, 20, or even 18 years of age. Since there’s already an ample number of student-athletes that are in dire straights financially as well as academically, the opportunities for them to be paid increases. However, there’s several reasons how this should happen. One way it could be accomplished is through the efforts of Capitalism. In an article written by ESPN’s Michael Wilbon, he proposes that the amount of revenue that’s gained through TV deals and sponsorships in both college basketball and football should be given to the athletes of these sports in small portions. Those such deals through television and sponsorships have greatly benefitted to universities such as Alabama, Texas, Iowa and Kansas – all of whom have netted a profit revenue of at least $95 million each year since 2012. With this in mind, this should make it plausible for universities like these to have more than enough income to divide to the football and basketball players that make their athletic departments so profitable. After examining this, it’s clear that student athletes are still fighting an uphill climb to receive compensation. The NCAA’s and universities’ micromanagement of rules and negligence of providing benefits to athletes has impeded the progress for this to happen. Nevertheless, with the sudden movement of students speaking out over unfair treatment, an influx of exposure to these athletes, as well as a rise in revenue. The pieces are still in place for student-athletes to earn back what they deserve.